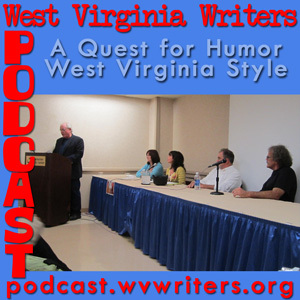 Recorded at the West Virginia Book Festival, A Quest for Humor: WV Style is a panel of four humor writers from our state both reading examples of their work and commenting on the style of our state's sense of humor. Featured on the panel are Diane Tarantini (WVW Podcast #31, #46), Karin Fuller, Terry McNemar (Podcasts #1, #23, #31), and Rick Steelhammer. The panel is moderated by former podcast guest Steve Goff (#23, #25, #49 and Bonus Show #9). 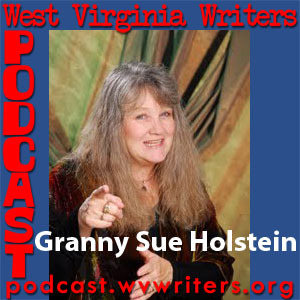 This week we present a recorded live reading from the 2011 WVW Summer Conference featuring Susanna "Granny Sue" Holstein. She’s been a featured storytelling performer at events from Bellingham, Washington to Boston, Massachusetts and points in between. 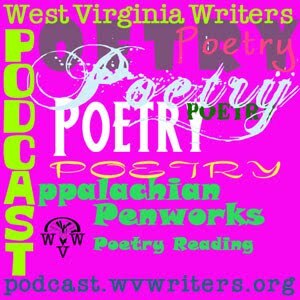 She's especially well known, however, for being a West Virginia storyteller, focusing much of her repertoire on WV history, ghost stories, Appalachian tales and ballads. Welcome back for Episode 57. 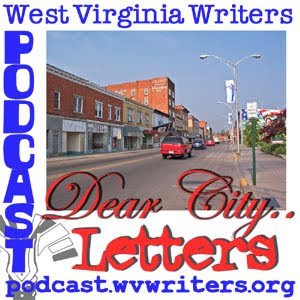 It's been a longer than usual summer hiatus, but we are now back with new episodes. 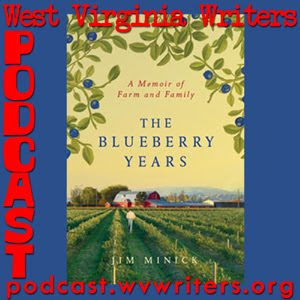 This week we present a recorded live reading from the 2011 WVW Summer Conference by Jim Minick, conference presenter and author of The Blueberry Years, Burning Heaven, and Finding a Clear Path among others. Jim reads from his work. 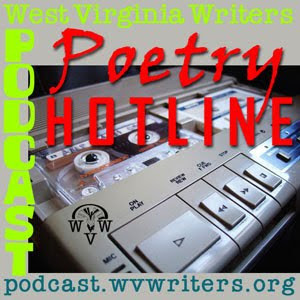 In our continued effort to whet appetites for the 2011 WV Writers Summer Conference, this week's podcast features an interview with author, conference presenter and banquet keynote speaker, Meredith Sue Willis. Meredith Sue was born and raised in Shinnston, West Virginia. She has degrees from Barnard College and Columbia University, and her fiction has been published by Scribners', HarperCollins, West Virginia University Press, Ohio University Press, and others. Her novels include A Space Apart, Oradell at Sea, Higher Ground, Only Great Changes, and Tresspassers. Her short story collections include Dwight’s House and other Stories, In the Mountains of America, and her latest, Out of the Mountains. 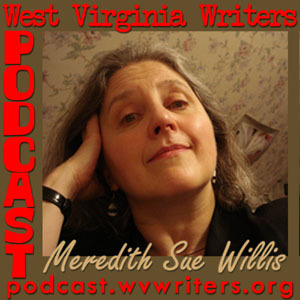 Meredith Sue is also devoted to writing about the craft of writing. 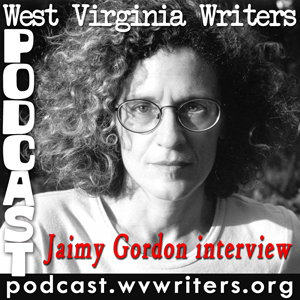 She’s written nonfiction titles such as Blazing Pencils, Personal Fiction Writing, Deep Revision, and her latest, Ten Strategies to Write Your Novel. 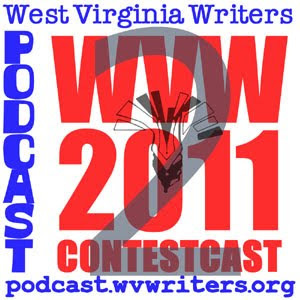 A former winner of WVW's Just Uncommonly Good Award, Meredith Sue will be leading two workshops at the 2011 Summer Conference, June 10, 11 and 12 at Cedar Lakes Conference Center in Ripley, WV. 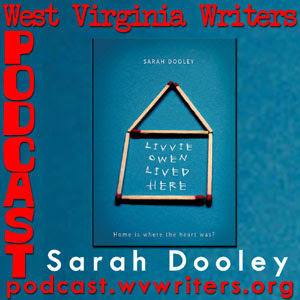 In our continued effort to whet appetites for the 2011 WV Writers Summer Conference, this week we interview Sarah Dooley, author of the young adult novel Livvie Owen Lived Here. The book is a story told from the perspective of an autistic 14-year-old girl whose loving family is frequently thrown into chaos by her actions. In real life Sarah is a teacher of special needs children and can speak to the reality of kids like Livvie. Sarah will be leading two workshops at the 2011 Summer Conference, June 10, 11 and 12 at Cedar Lakes Conference Center in Ripley, WV. 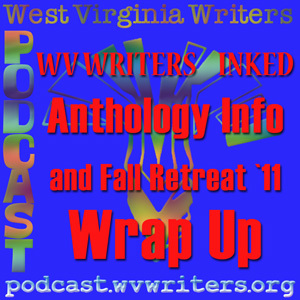 With the 2011 WV Writers Summer Conference a mere 3 weeks from this recording, it's time to check back in with our organizational president and conference organizer, Cat Pleska, regarding updates to the conference lineup and schedule. We also drop a few hints as to who will be interview guests on this very podcast as we go to a weekly schedule through the conference itself. 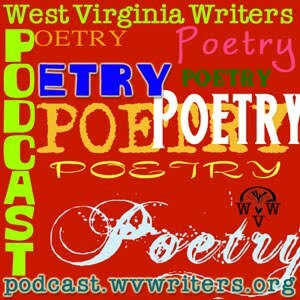 To whet your appetite for our upcoming 2011 WV Writers Summer Conference, below is a video interview shot at the 2010 Summer Conference featuring an interview with WV Poet Laureate Irene McKinney, conducted by poet Llewellyn McKernan. 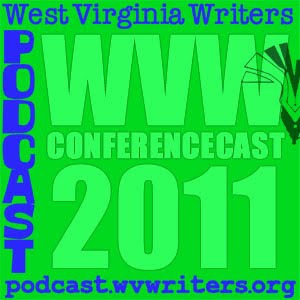 The 2011 WV Writers Summer Conference is coming up June 10, 11 and 12 at the Cedar Lakes Conference Center in Ripley, WV. While registration for the conference has been open since March 7, we've only revealed a preview of the presenters for it on our website. 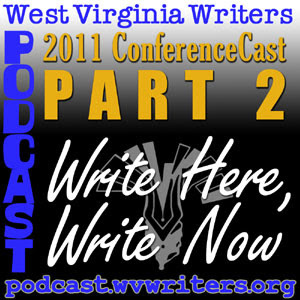 ConferenceCast 2011 helps fill in the blanks for the upcoming conference. Joining us to help fill the blanks is our Conference Coordinator and organizational president, Cat Pleska. The current list of workshop presenters and their workshop descriptions will be available at our website on Monday 3/28. 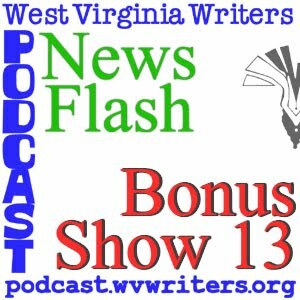 Bonus Show #13 is all about announcements, including word about the ending days of the WVW 2011 Writing Contest, the registration opening for the 2011 Summer Conference, the Writers Toolkit Event and our special upcoming poetry hotline show in which you can participate. Check our website for all the details on all of the above, but listen to the podcast to hear me say it. TO LISTEN: to save the file to your computer. Listen to it at your convenience using Windows Media Player (or whatever product Mac offers for media).